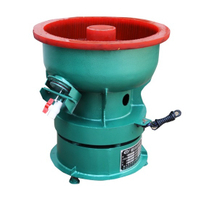 The Round Bowl Series Vibratory Finishing Machine is widely used for deburring, burnishing, cleaning, descaling, polishing, degreasing, radiusing, applied in operating a variety of workpieces. especially for small parts in large quantities. 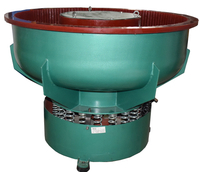 The “CL”vibratory bowl finishing machine are capable of using a wide variety of medias and compounds to attain the desired finish. The CL-450AB could contain 450L volume of medias which meet the demands of big finishing productivity. The special designed separator with screens achieve high degree of automation of the finishing job, it could automatically separate the parts from medias requiring less manual cost. 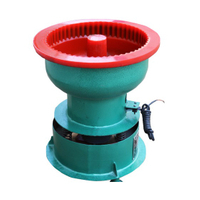 The vibratory finishing bowl use special 3 phase vibrating motor, good performance, less maintenance and cost-effective. 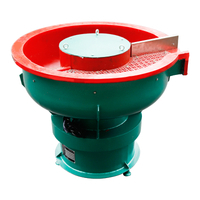 The inner chamber of the high quality vibratory finishing equipment use PU linning, avoid the impact between parts and inner wall. 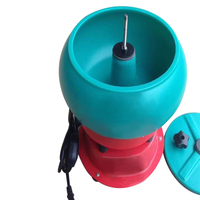 Can be customized according to requirements, frequency control, time control, plus environmental protection cover noise work. 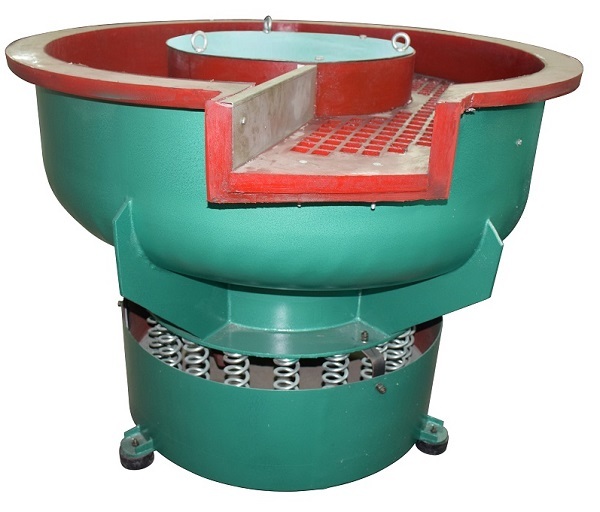 Why choose vibratory bowl finishing? 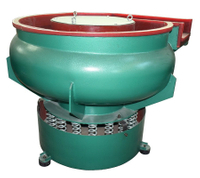 The vibratory bowl machine can meet various surface finishing needs, such as deburring, polishing, descaling, cleaning, radiusing, a versatile and popular model for mass finishing industry. The tumbling actions between parts and medias overcome the difficulty to touch awkward corners for overall and thorough finish. 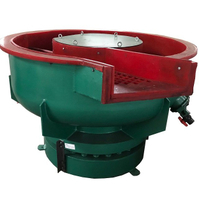 The vibro finish bowl provides sufficient grinding but cause no damages or distortion to the fagiles parts that is centrifugal barrel finisher can not complete. 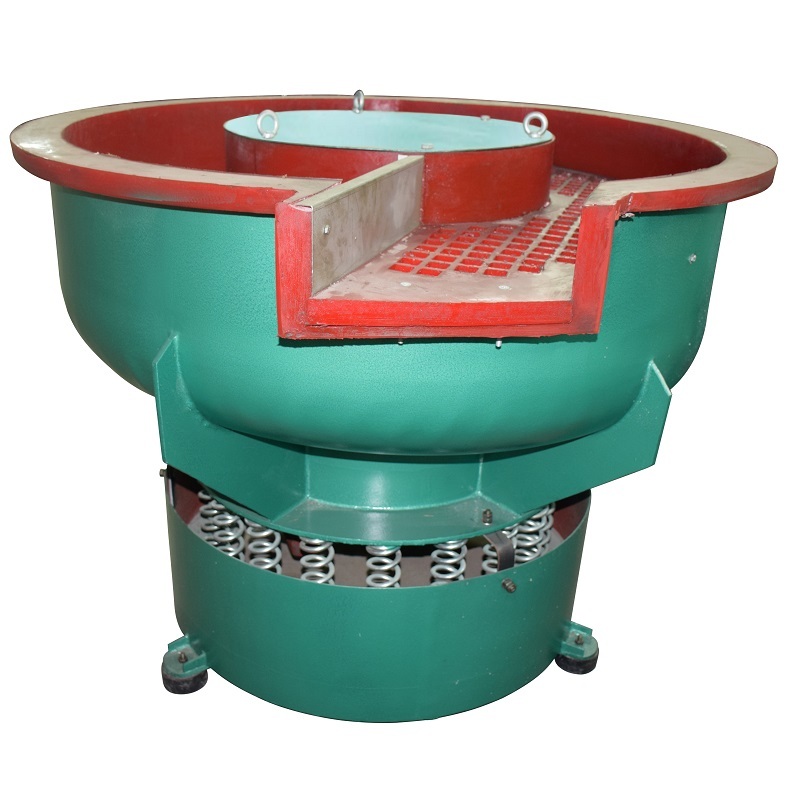 A range of standard capacity of the bowl can be choose according to customer's required porductivity. 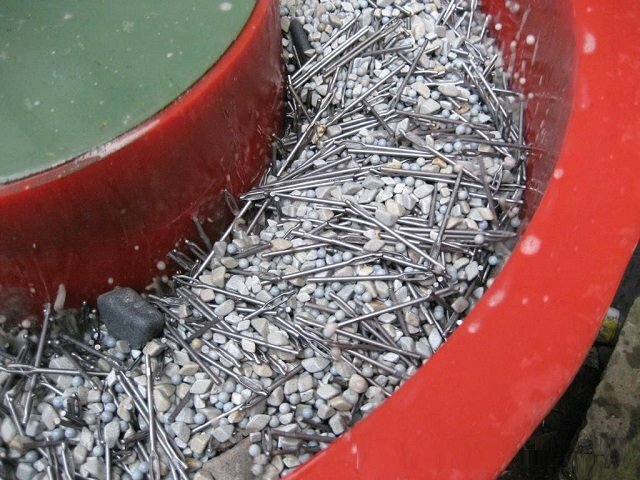 The vibratory bowl finishing machine can be used for a variety of applications: deburring, descaling, rounding of corners, cleaning, polishing, smoothing, general surface improvement. 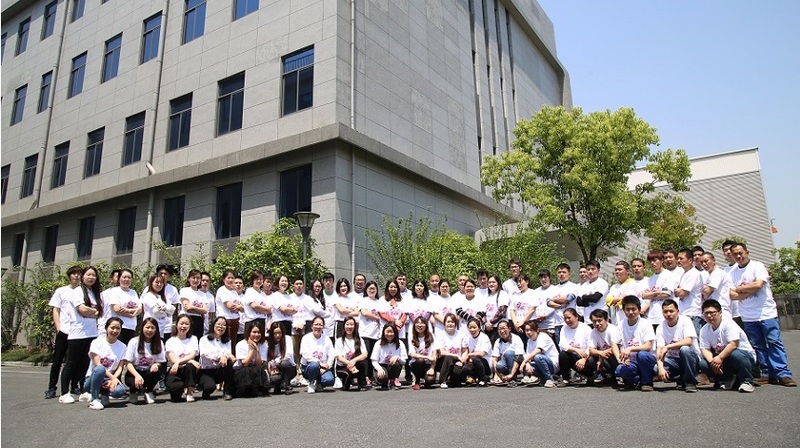 Located in Hangzhou, China, we we own a manufacturing base of 3600 square meter, around 100 employees and 24 sets production equipment, dividing into technical department, sales department, after-sale department, production department, QC department, manage and finance department, etc. As a fast growing company in supplying sandblasting equipment and mass finishing equipment, we devoted all ourselves to offering solution for any surface finishing problems. 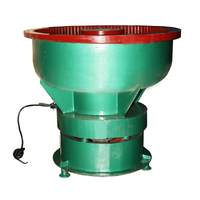 Our products can be divided into two main parts, sandblasting equipment and mass finishing machines. 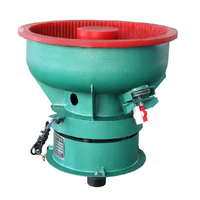 Sandblasting equipment including: manual sandblasting machine, suction sand blast cabinet, pressure blasting machine, wet abrasive blasting equipment, portable blaster pot, automatic conveyor blast system, tumbler blaster, rotary table blast machine, crawl blast machine. 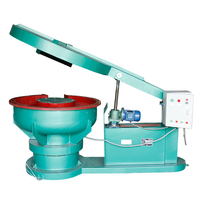 Mass finishing system including: vibratory polishing & deburring bowl, vibratory bowl with separator, centrifugal barrel tumbling machine, centrifugal disc finishing system, mass finishing media. We offer service: Standard Production Models, Customized Design, Before-order Technical Support, Engineer Oversea Installing & Training, Free Sample Testing, 24 hour On-line Consulting, ODM, OEM. Finishing equipment, machinery, supplies, technology, one-stop solution, Kafan-your surface treatment expert . Add：Building 34. No 536. Shunfeng Road, Tangqi Town, Yuhang Distrct,Hangzhou, China.